So, that brings an end to the Australian Grand Prix and we have a firm, albeit lucky, Australian Grand Prix Winner with Ferrari’s Sebastian Vettel. After Lewis Hamilton’s spectacular performance in qualifying with an incredible lap time in the new Mercedes, it seemed like a win for Hamilton was almost guaranteed but a series of unfortunate events has led to the Australian Grand Prix slipping from Hamilton’s grasp once again. Some might say it was sheer bad luck while others will put the result firmly in the hands of Vettel while others will argue that it was down to the skill of the drivers. Either way, the Australian Grand Prix Winner was Sebastian Vettel. At the beginning of the Australian Grand Prix, Hamilton was set on pole position and began the race in a promising fashion. Hamilton managed to build up a steady lead throughout the beginning of the race and it seemed almost guaranteed that Hamilton would become the Australian Grand Prix Winner. After climbing up and pushing hard for a three-second lead over Vettel, disaster struck in the most unusual way. Haas’ Romain Grosjean suffered the loss of a tyre and brought into effect the Virtual Safety Car. While Hamilton had already pitted a few laps earlier and was restricted to the pacing of the VSC, Vettel was free to take advantage of a pit stop and utilised the pit lane to gain a commanding lead. Some technical difficulties in the communication between Hamilton and his team meant that he was caught unaware that Sebastian Vettel had managed to take advantage of the Safety Car. 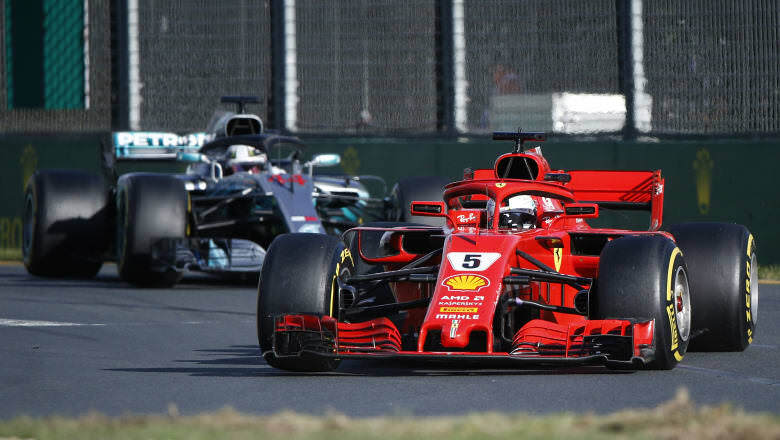 After Vettel had built up this lead, it was just out of reach for Hamilton to regain first place and, unfortunately for Ferrari, Hamilton settled for second and crossed the line 5 seconds after the Australian Grand Prix Winner, Vettel. Hamilton and Vettel are known for their rivalry when it comes to Formula One Grand Prix, since if either becomes the Champion of this 2018 Grand Prix, they’ll become the third ever person to win the title of champion for the fifth time. This result will likely bolster Vettel’s confidence, especially following some of the playful banter exchanged at yesterday’s post-race conference. If you feel like you’re hearing everything secondhand and aren’t getting the full and pure Formula One experience, you might want to check out F1 TV, your new way to stream Formula One. Get all the races and conferences, live, as well as some exclusive behind the scenes clips!